Used for post-operative support and positioning after rotator cuff repairs, this orthosis includes a thumb, elbow, waist, and shoulder strap. It’s designed for varying degrees of abduction and can reduce tension and allow for comfortable healing. 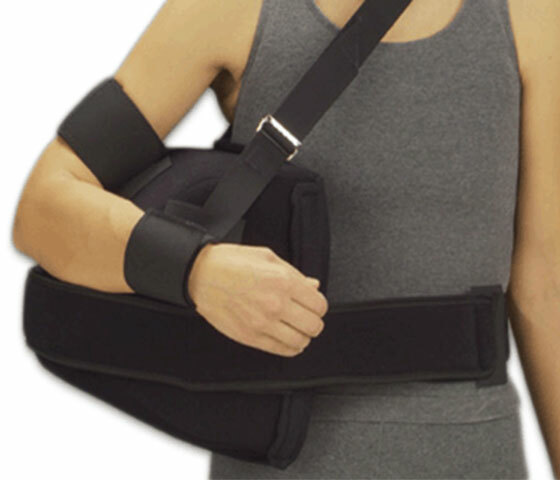 This is a static orthosis that allows for improved positioning of the shoulder in varying degrees of abduction. This splint is typically used for post-operative patients and those struggling with brachial plexus injuries and cerebral palsy. 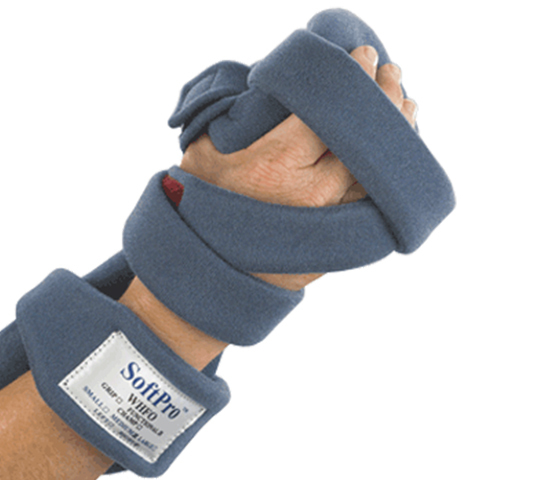 It also helps prevent loss of range of motion and/or contractures in the upper extremity. 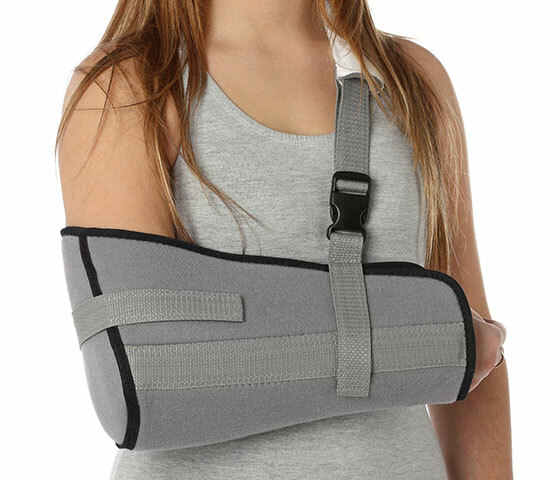 Universal arm slings can be used to treat patients with shoulder pain, rotator cuff injuries, arm fractures, and acromioclavicular separations. It’s also helpful post-surgically, as there are a variety of prefabricated slings that can restrict motion and promote healing. 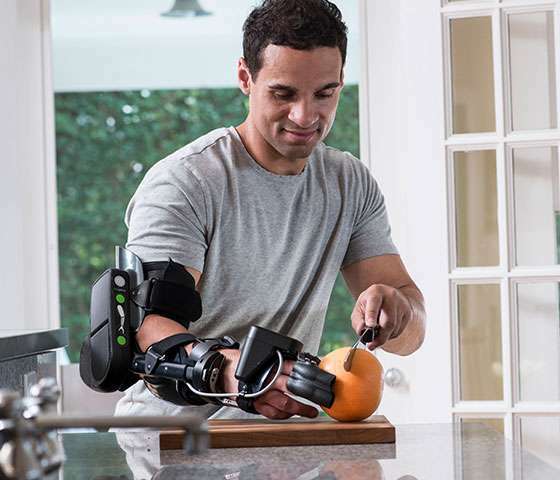 This orthosis improves voluntary movement in a weakened limb or one with paresis. Non-invasive sensors read and amplify muscle signals. A motor then moves the patient’s arm in the desired direction. It helps improve grip and functional use of the entire upper extremity. 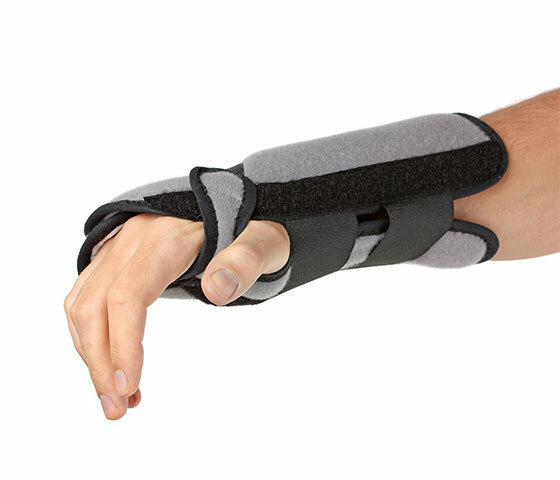 Wrist Hand Orthoses (WHO) are used in adult and pediatric populations to support and immobilize the wrist. This may be due to stroke, carpal tunnel syndrome, muscular dystrophy, cerebral palsy, and other wrist instabilities. Wrist Hand Finger Orthoses (WFHO) are used in adult and pediatric populations to support and immobilize the wrist, hand, and fingers. This may be due to stroke, carpal tunnel syndrome, muscular dystrophy, cerebral palsy, and other wrist, hand, and finger instabilities.